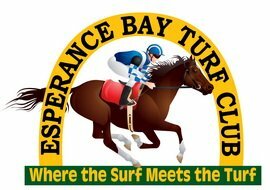 The Esperance Bay Turf Club has three levels of sponsorship. Talk to us about how your business can secure naming rights to a race or race day, get advertising on the radio, newspaper and in our race book and increase the visibility of your brand within the community. Naming Rights to the main race of the day $1200 plus GST. Advertising for your business on the radio, newspaper and race book. There will be two Feature Races valued at $20,000 on Cup Day. Sponsorship for these is $2,500.00 plus GST per race. Naming Rights to one race on one day $600 plus GST. On Esperance Cup Day race sponsorship is $1000 plus GST. Tents are available for hire in TentLand to host your own private function or gathering. Sponsors having tents must supply their own with an RSA to serve alcohol in tents. New! Advertise your business logo (link it to your website) on this site 24/7, 365 days a year!